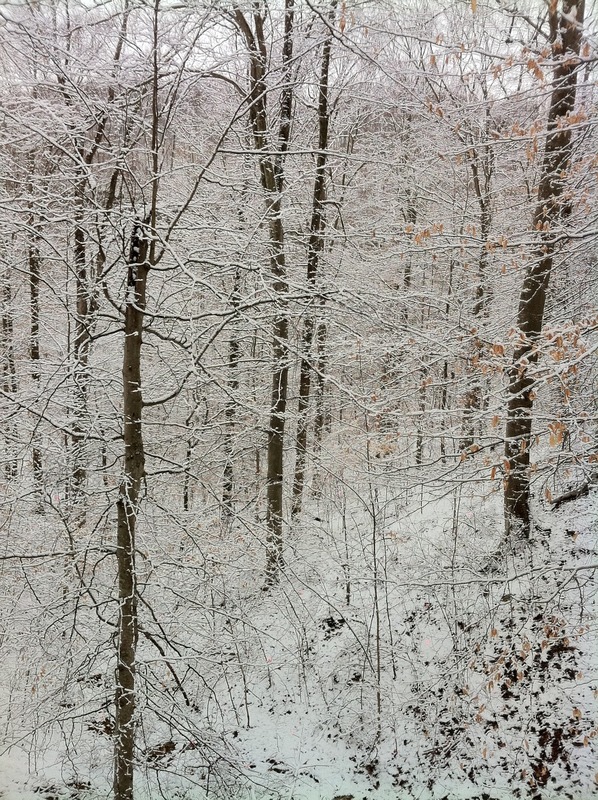 The hillside woods all covered in the latest round of snow. One nice part about winter planning is that there’s no rule that says it has to all be done indoors. Today the dogs and I took advantage of the nice day with the beautiful new-fallen snow to do some thinkin’ walkin’ all around the hillsides. While thinking about things we can add and do differently this year, we also found two new (but really old and decrepit) fencelines. We discovered where the wild turkey flock on our land roosted the night before, and found lots of fresh coyote poo that Bailey and Scooter promptly rolled in. We are planning on adding both some new Good Life Ranch products in 2011 as well as new market outlets. Our CSA program so far is generating a little interest, but very no one has actually submitted the application yet so I’m not sure that a CSA is going to be viable for us right now. In talking with our neighbors and other farmers in the area I’ve found that many of them have tried CSAs in the area before without success. It seems like right now the members of our community aren’t willing to pay in advance for their food, so we’ve got some work to do to change the local food culture. We will be selling at the Campbellsville Farmers’ Market this year. Additionally, we are excited about one new development. We have been approached by our neighbors Joshua and Melina about opening a community farm stand on our property that we and the several surrounding families could use to market and sell our meats and produce. Lindsey and I are excited about that and are looking forward to the farm stand opening this spring! In keeping with the heritage breed mindset we have at the Ranch, of course we are not adding Broad-breasted whites to our turkey family. This year Royal Palms and Narragansetts will be added to the menu! Royal Palms are small (potentially suitable for people with only 3-4 people to feed for Thanksgiving), but they are beautiful and superb foragers. Once they have passed the brooder stage they may be able to pretty much feed themselves on insects, seeds, and grasses. 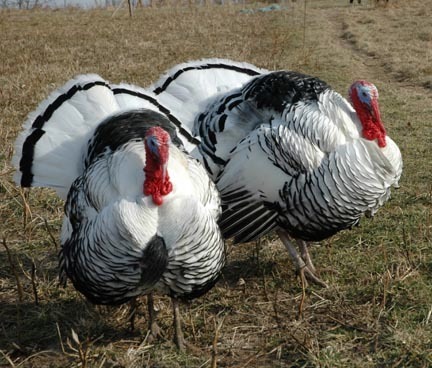 The Narragansett is a larger breed than the Royal Palm and is roughly the same size as the Black, Bourbon Reds, and Chocolate turkeys that we are already raising. They are nice calm birds with the same heritage breed foraging ability and superior taste as the other breeds, but it’s an opportunity for us to help protect and conserve another heritage breed of American livestock that is endangered by the industrial food chain. The handsome gentleman in the above photo is a Naked Neck chicken, also called a Turken because initially people thought they were a cross between a chicken and a turkey. But it’s all chicken because chickens and turkeys can’t create viable offspring. I personally don’t mind the featherless neck, but some people find it very off-putting. What’s interesting is that the gene that causes a featherless neck also creates a mild increase in breast meat. This makes the Naked Neck a candidate for growing broiler chickens. It also creates a marketing opportunity. Our co-conspirators Tim and Liz over at Nature’s Harmony Farm in Georgia grow these and call them Georgia Redneck Chickens. I think a similar marketing strategy could work in rural Kentucky. The experimental part of this will be if the broilers have a feed conversion rate that is profitable and if the hens lay well enough to make that end of the chicken business work. 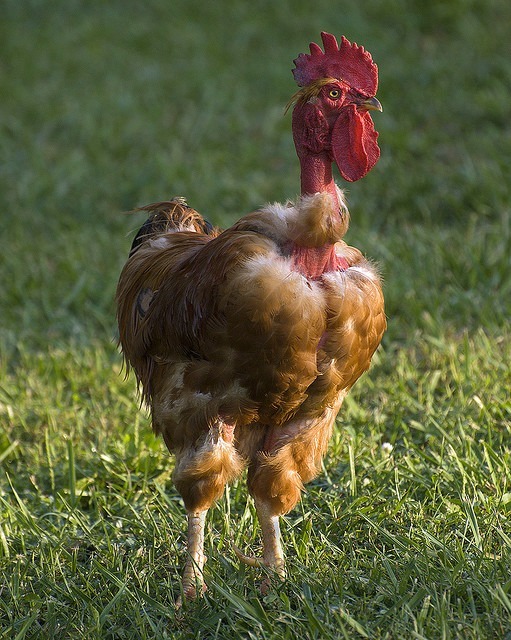 Reports vary on the egg-laying ability of the Naked Neck, with some people finding that they lay very well and other people reporting that they laying rate is pretty low. We will see. 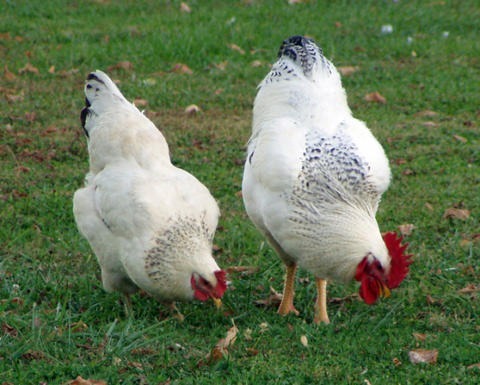 They are very popular in France, Spain, and Germany as meat chickens, but not they are very rare here in the US. The Delaware is the other breed we will be evaluating this spring and summer for a dual-purpose meat-and-eggs breed. They were developed in their namesake state during WWII for use a broiler chicken. Delawares did dominate their local markets for a couple years, but their reign was short-lived with the arrival of the Cornish x White Rock corss in the 1950s. Like the Naked Necks, we are going to have to evaluate both the meat and egg ends of the Delaware breed to see if they’ll work for us. If either of these breeds can be profitable for both meat and eggs, then we can stop ordering chicks from hatcheries and start sustainably producing our own chicks right here on the farm. Then we can wean our customers off of the expectation of Cornish x Rock body conformation and teach them what a “normal” chicken is supposed to look and taste like. That’s the goal. Chickens and turkeys won’t be the only poultry gracing the ranch this year. 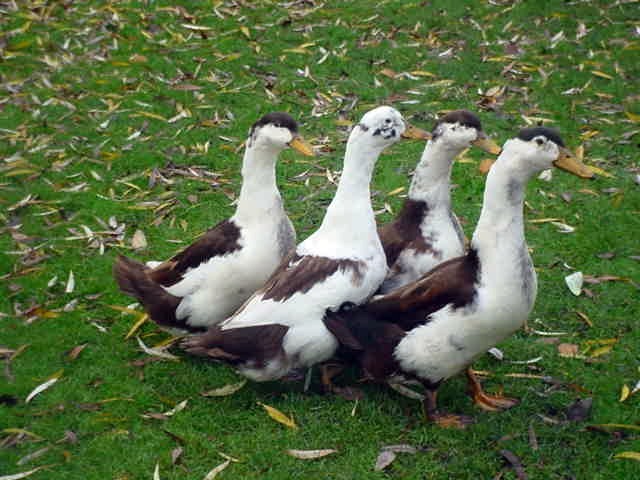 We are also (hopefully – they are very hard to find) going to add heritage breeds of ducks and geese in 2011. Finally, the Cotton Patch goose will now call Good Life Ranch home. They are extraordinarily rare with less than 100 breeding birds in the country. They used to be all over the place on virtually every homestead in Arkansas, Louisiana, Mississippi, and Alabama weeding the gardens and the cotton fields. They are good flyers, their white feather pick cleanly, you can tell the gender by looking at them, and they are extremely non-aggressive for a goose. We’ve got some feeler out looking for goslings or breeding pairs, and it looks like we might be able to add these lovely geese this year. Finally, we want to add sheep to the Ranch to take advantage of the grass, reduce mowing, improve the pastures, and produce meat for us. This will likely be a late summer or early fall acquisition because we’ll have to erect the fences first and then save up more money, but hopefully it will get done this year because we really need some more grazing animals to make use of all the grass we are growing. 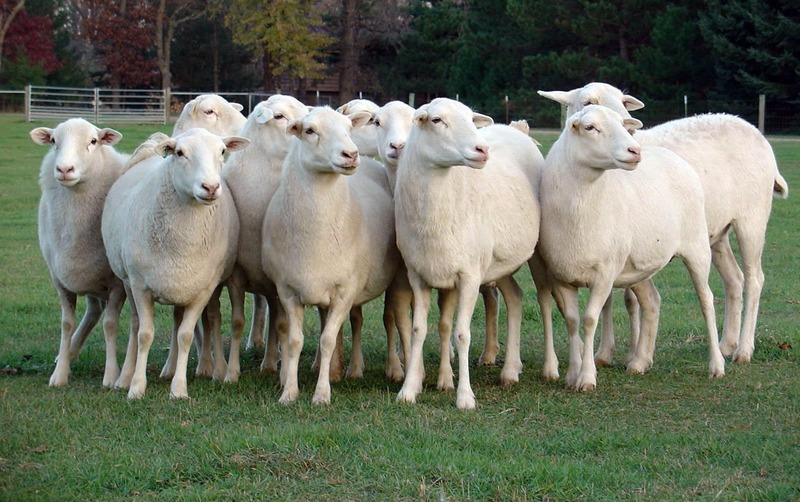 St. Croix sheep are heritage-breed hair sheep, so they don’t require shearing. They are a medium-sized breed. What’s really attractive is that the flock we are considering buying from has remained vibrant and healthy despite not having been wormed in over 20 years! They are definitely the most parasite-resistant breed of sheep. That’s the weekend update, thanks for reading! Be careful with the geese “weeding” the garden. Our geese in Zachary “mowed” the garden. Daddy put them in the freezer shortly after.